It’s always nice to have little gifts on hand for last minute gifts. 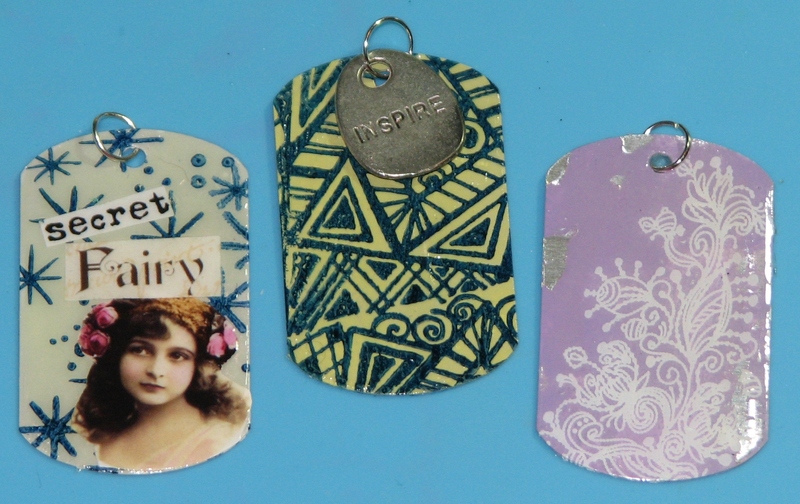 These “charming” dog tags can be made quickly and depending on the jewelry findings you add they could be used for necklaces, earrings, charm bracelets, zipper pulls, or even key chains. By varying the stamped images and embellishments they could be for either guys or gals on your unexpected list of gifts. 1. 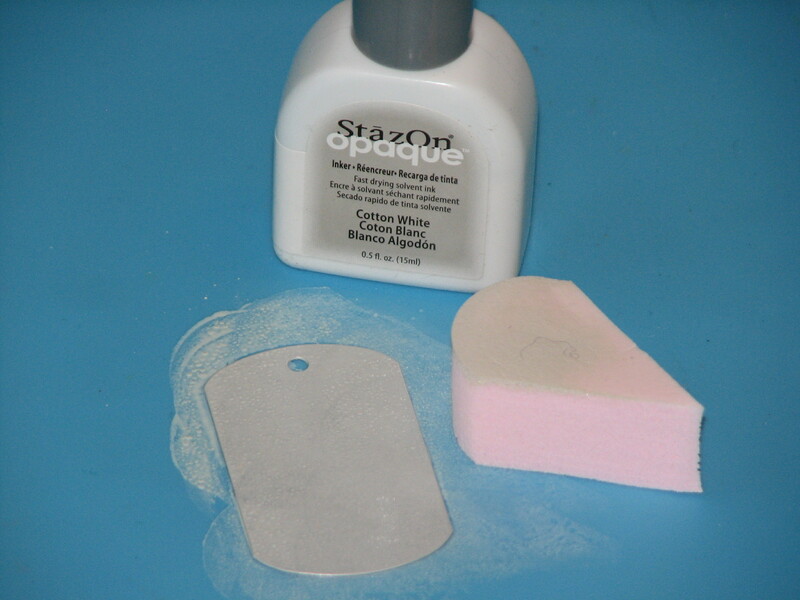 Dab on desired color(s) of Opaque StazOn ink using an Ink Blusher and let dry. 2. Apply a layer of StazOn GlazOn and let dry. 3. 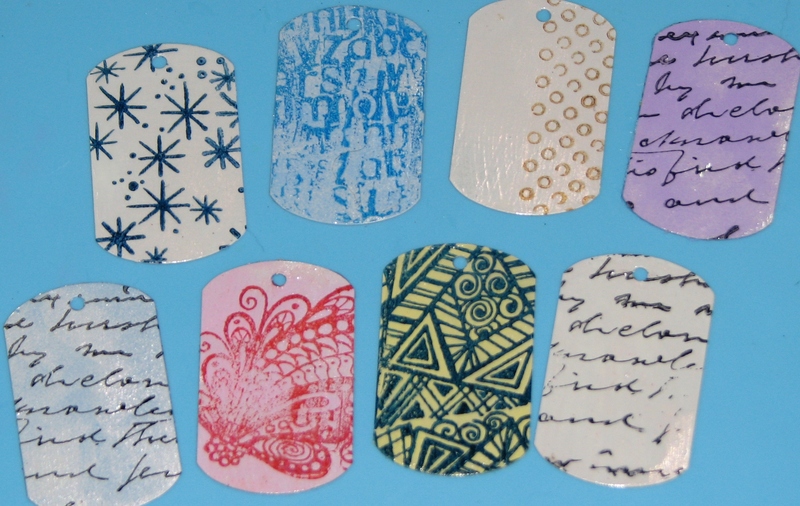 Stamp desired image(s) onto each tag using StazOn ink. Remember to apply a layer of StazOn GlazOn after each new layer of ink. 4. Add additional embellishments if desired. 5. Affix jewelry loops and findings to finish off the charm. 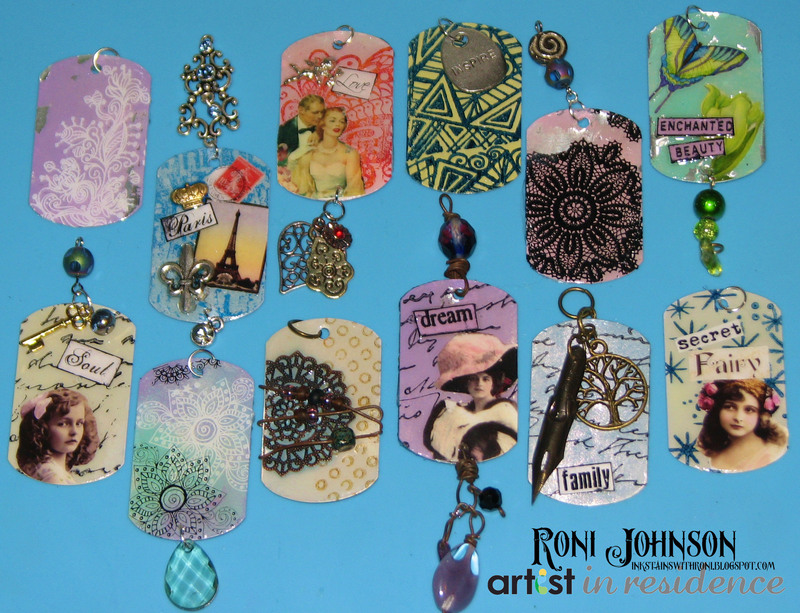 You’re only limited by your imagination when it comes to making these charms!